Puss Puss came into the clinic with a large long foreign body under the skin over his right hip. 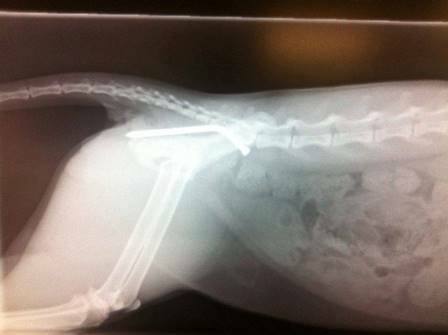 We took an x-ray and to our surprise it was a nail!!! Puss Puss seemed totally oblivious to this and was walking around happily and eating as normal. 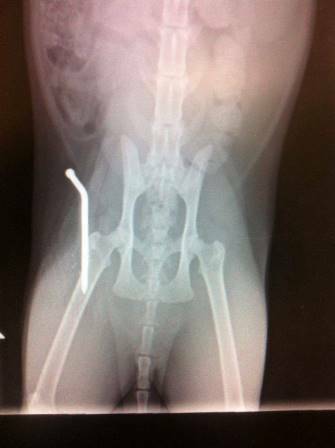 We gave him a general anaesthetic and were able to make a small incision and slide the nail out.